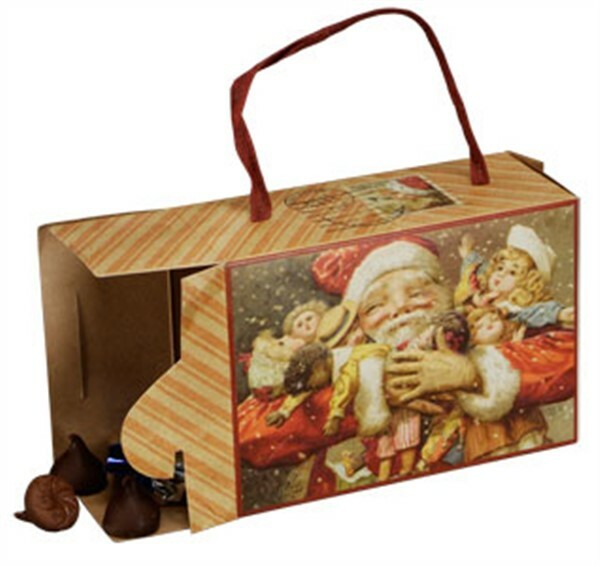 Vintage image of Santa and dolls beautifully decorate this Candy box. It is made of paper and ribbon and is approx 5.25" x 2" x 3". These are a great way to present a small gift or holiday favor!